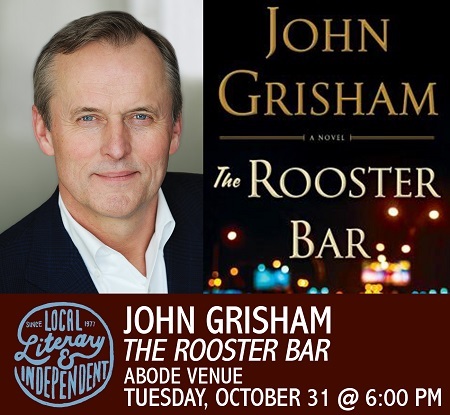 Sarah Bagby will host John Grisham in conversation with Clare Vanderpool about Grisham’s newest book The Rooster Bar. Clare Vanderpool is the award-winning author of two novels: Moon Over Manifest and Navigating Early. Moon Over Manifest, her debut novel, was awarded by the American Library Association to the author of the most distinguished contribution to American literature for children. She lives in Wichita, Kansas with her husband and four children. Sarah Bagby is the owner of Watermark Books & Cafe.